With sunny skies and warm temperatures, spring is the start of bike season. 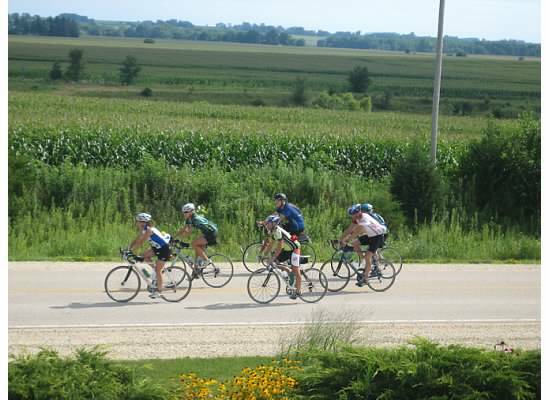 Before you head out to the forest preserve path with your family, the American Physical Therapy Association (APTA) has a few tips to help you find the right fit for your bike and minimize the risk of injury. Change hand position on the handlebars frequently for upper-body comfort. Keep a controlled but relaxed grip of the handlebars. When pedaling, your knee should be slightly bent at the bottom of the pedal stroke. Avoid rocking your hips while pedaling. Anterior (Front) Knee Pain. Possible causes are having a saddle that is too low, pedaling at a low cadence (speed), using your quadriceps muscles too much in pedaling, misaligned bicycle cleat for those who use clipless pedals, and muscle imbalance in your legs (strong quadriceps and weak hamstrings). Hamstring Tendinitis. Possible causes are inflexible hamstrings, high saddle, misaligned bicycle cleat for those who use clipless pedals, and poor hamstring strength. Foot Numbness or Pain. Possible causes are using quadriceps muscles too much in pedaling, low cadence, faulty foot mechanics, and misaligned bicycle cleat for those who use clipless pedals. Iliotibial Band Tendinitis. Possible causes are a too-high saddle, leg length difference, and misaligned bicycle cleat for those who use clipless pedals. As an expert in the way the body moves, a physical therapist helps restore and improve mobility and motion. Meet the physical therapists at Fox Valley Physical Therapy and Wellness. The American Physical Therapy Association (APTA) represents more than 77,000 physical therapists, physical therapist assistants, and students of physical therapy nationwide. All contents © 2011, 2009 American Physical Therapy Association.